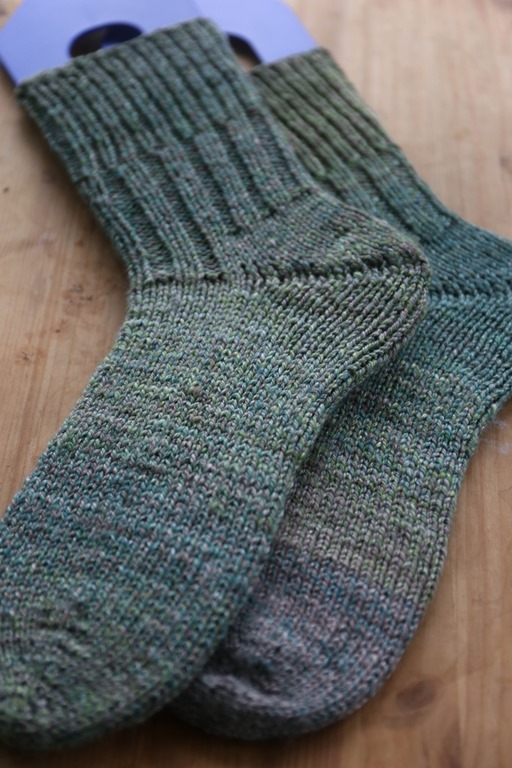 *The Ravelry project page is here if you’re curious about the pair I’m talking about and can’t wait to see them. 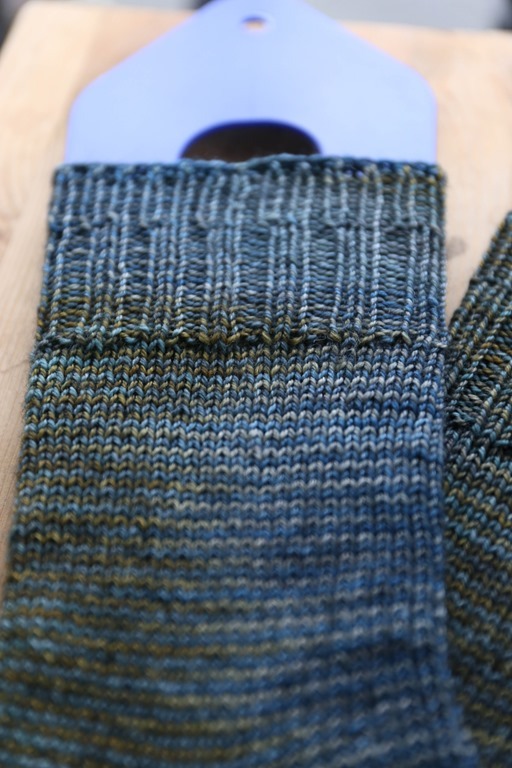 You can probably figure out why I’m waiting for feedback, too, by seeing the yarn. 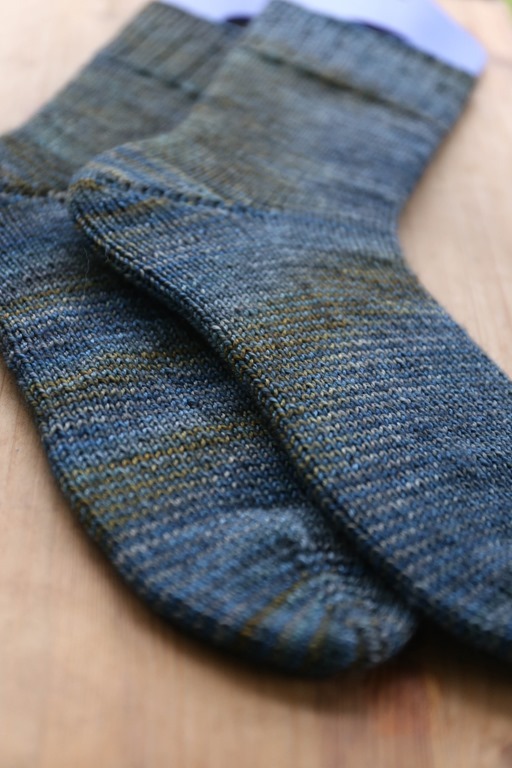 I started off with a pair of handspun socks for my husband, which were quite timely after the felting of his previous pair. 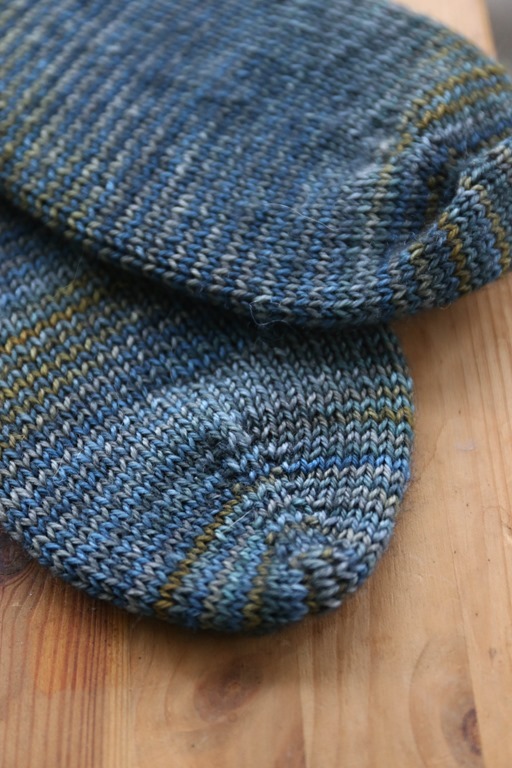 I knit these very quickly – they were started and finished within a week. 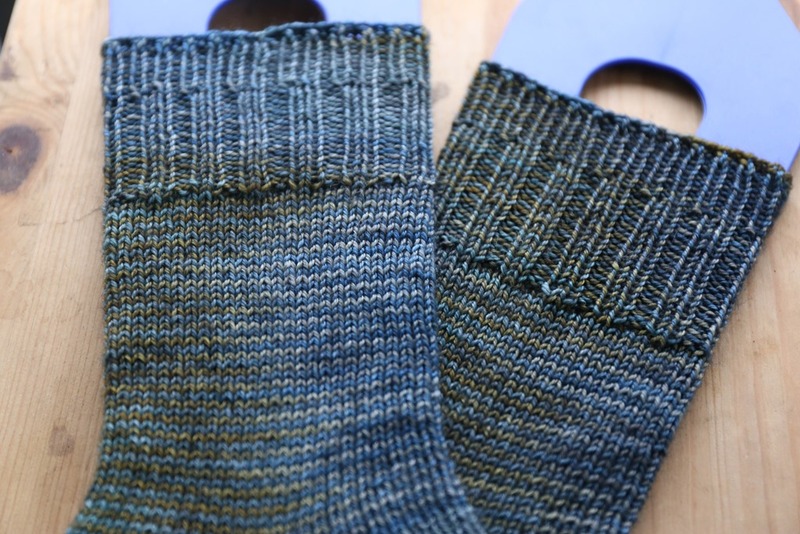 There is something very speedy about 44 stitch socks on 2.75mm needles! The yarn spun up thicker than I was hoping for but I think when I am spinning with superwash fibres, I tend to grab more fibre because I’m worried that the single is going to break. I think this is due to the buttery-slippery handle of the fibres. Next time, I’m going to spin from the fold and compare my results. This yarn was 915 yards per pound (more information about YPP here) and I think I can improve this with a different spinning technique. 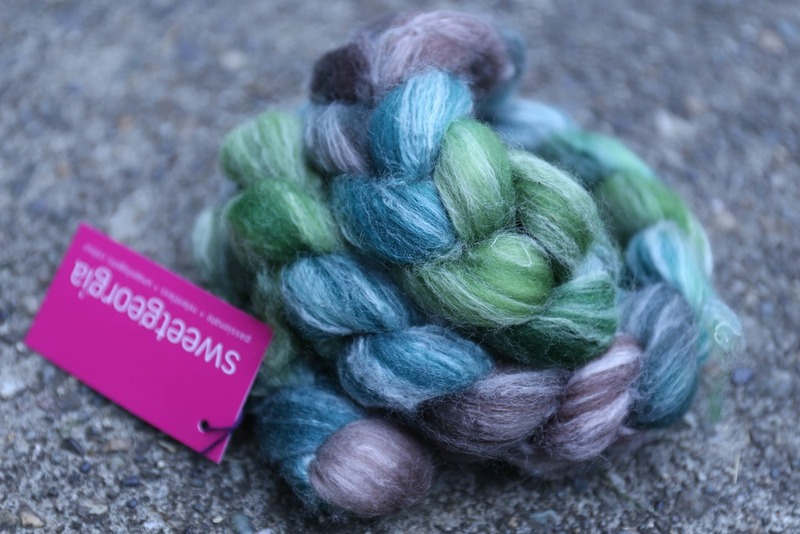 Handspun always varies slightly and because this is a traditional 3-ply, the colours have really blended together. It ended up being quite grey as a result. I am interested to see, if I were to spin this up again, the results if I were to Navajo-ply or keep the colours together by breaking the braid apart. I wonder if I wouldn’t have lost so much of the colour. Due to the bamboo in the Panda blend, it always creates a heathered, subdued yarn because it doesn’t take the acid dye at all and instead remains white. Toes of the handspun Sweet Georgia Yarns’ Panda yarn in colourway Sitka. Next up were socks for my dad. He is known around our house these days as Gramps. 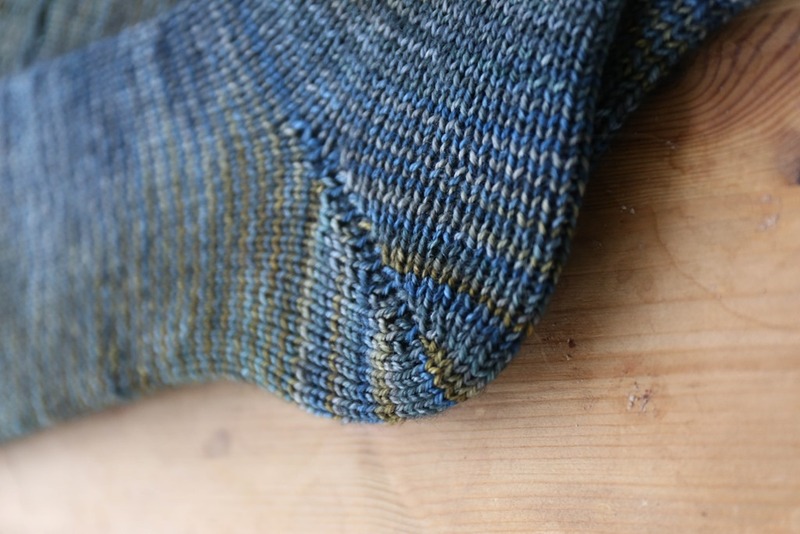 I have knit quite a number of socks for him but never with the Fish Lips Kiss Heel template. He has very small feet for a man who is over 6’ so having a template this time around has been very helpful! 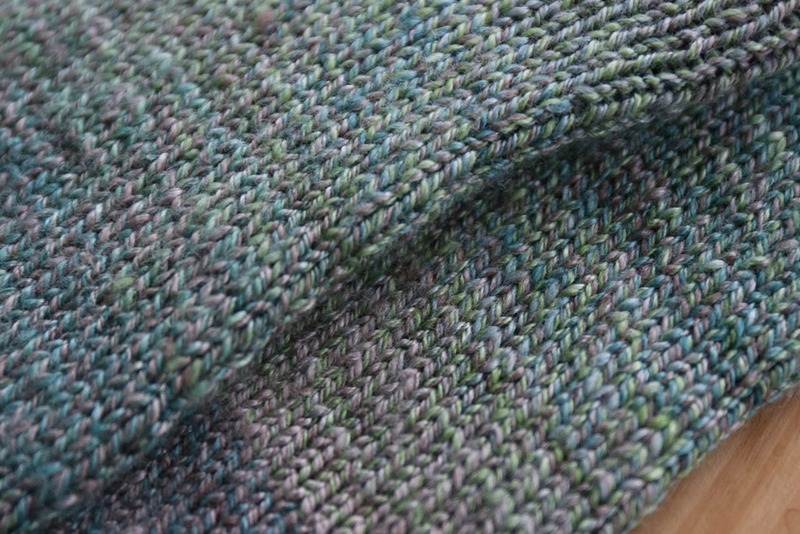 The colour of this yarn is divine. I have to admit that I have a real soft spot for Melissa’s yarn because she is the daughter of my LYS owner, both of whom are really lovely people. 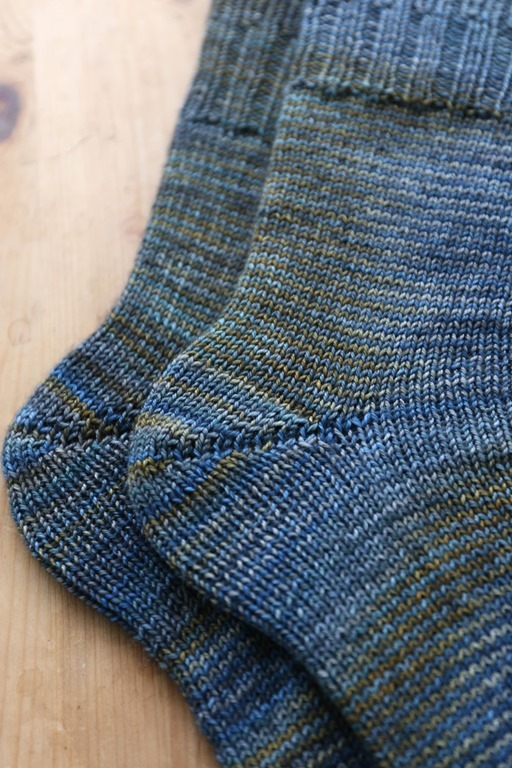 I absolutely love 88 Stitches, as well as perusing through Melissa’s yarn. 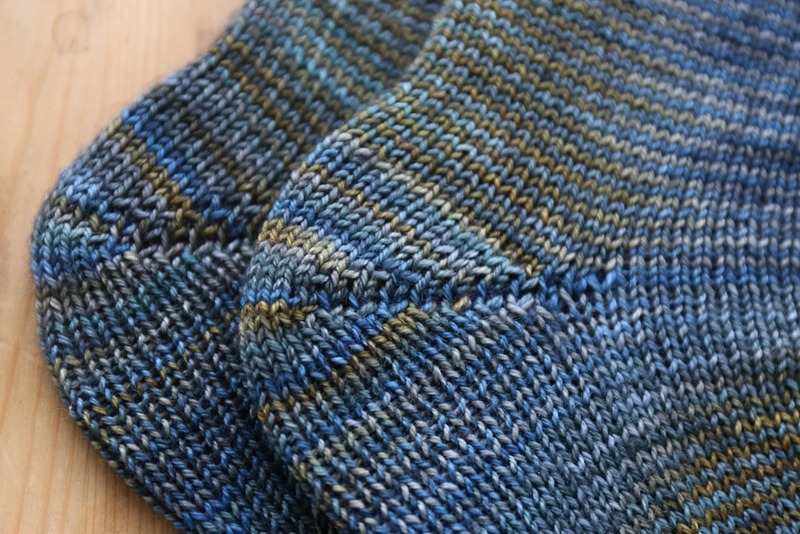 I think I’m going to let the photos tell you about these socks for the remainder! Melissa’s colour sense and technical/education background as an artist shines when her yarns are knit up so why try to put words to amazing colours?! 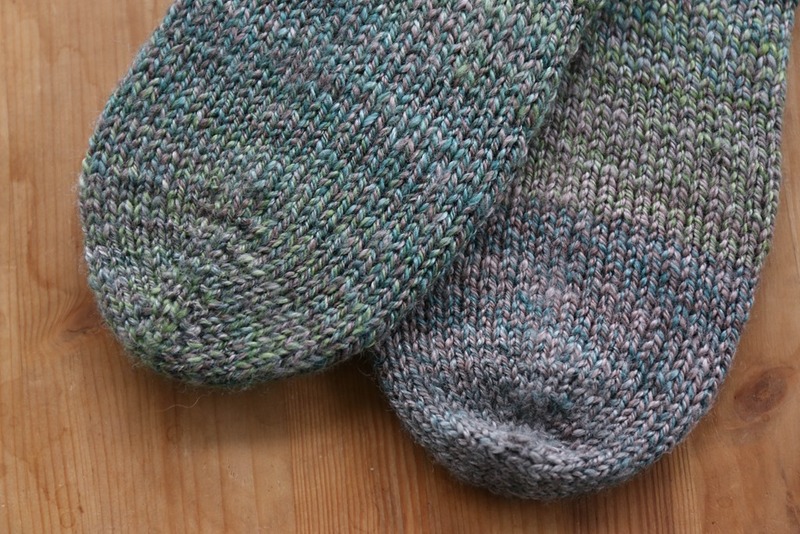 Since these have now been gifted, I’m thinking I will finally be able to knit some socks for myself. 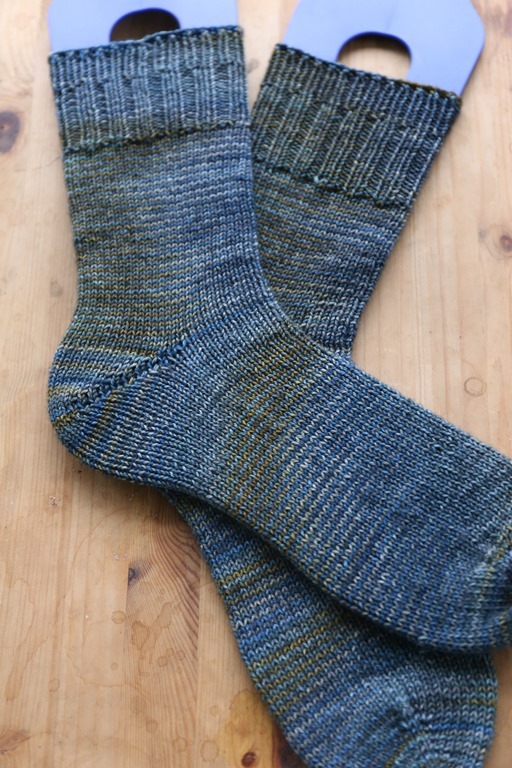 I never got my second pair of handspun socks in 2015 done so I’m thinking those might be next. Fingers crossed I can bang a pair out this month! Happy New Year, friends! I hope you are celebrating the new year surrounded by family, friends and loved ones. Next Post more socks galore. Thanks for the link to the Fish Lips Kiss Heel! I’ve just purchased it and will try out the pattern soon. It sounds very intriguing :) I love the colors of your socks! 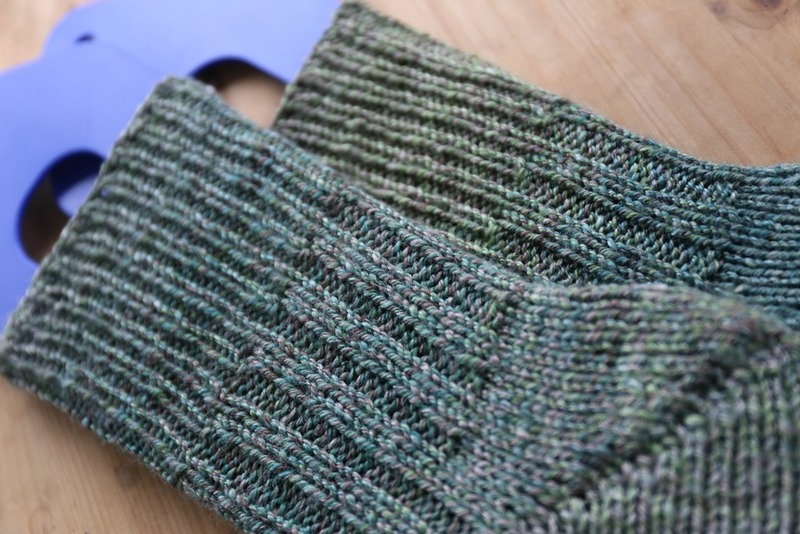 One of my goals this year is to make my husband socks, as well as myself. 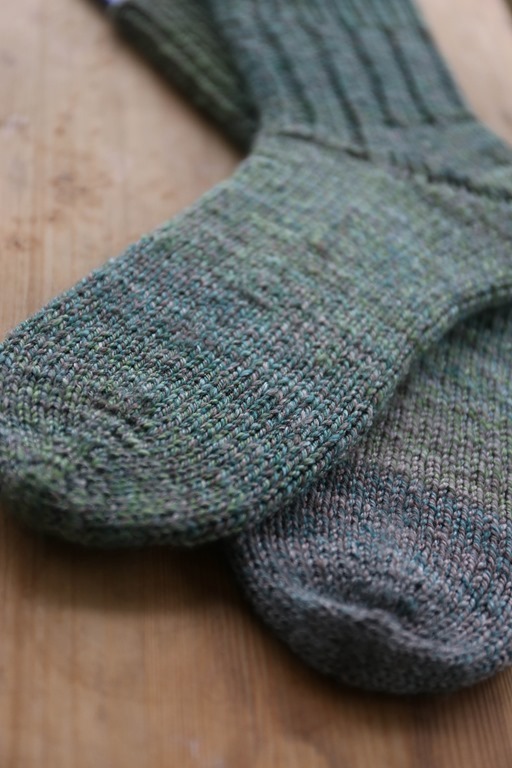 I completed one pair for myself (my first socks) last year and can’t wait to make more! Happy New Year!